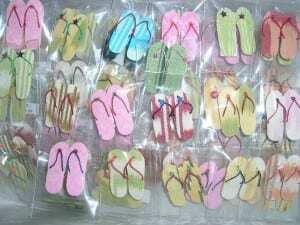 Flip-flops are the footwear of the poorest people of the world. The Flip-Flop Appeal is a gesture of solidarity, service and a determination to work together. 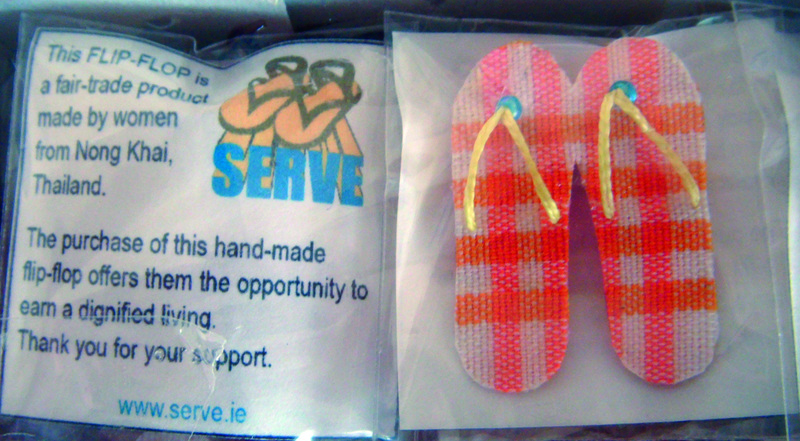 Each May, SERVE sells fair-trade flip-flop pins, which have been produced by the Regina Centre‘s skills training and employment project in Nong Khai, Thailand. Have you an interest in taking a box of 100 flip-flop pins to sell (at €2 EUR /£2 GBP per pin) in your local community, school and/or among your family and friends? We would love to hear from you! Email fiachra@serve.ie, with your name, address, email address and phone number, to request a box of pins, to sell on behalf of SERVE. Be an everyday hero and sign up to create a Flip-Flop Appeal Fundraising page! Get your friends and family involved! Do you have an idea for a flip-flop themed event that you want to run? Do you need ideas for an event to hold in your school or community? Wear your flip-flops to work, school, college, shopping etc! What will the Flip-Flop Appeal achieve? Prompt people to walk the way of justice. Get people talking and dreaming of ways to work together. 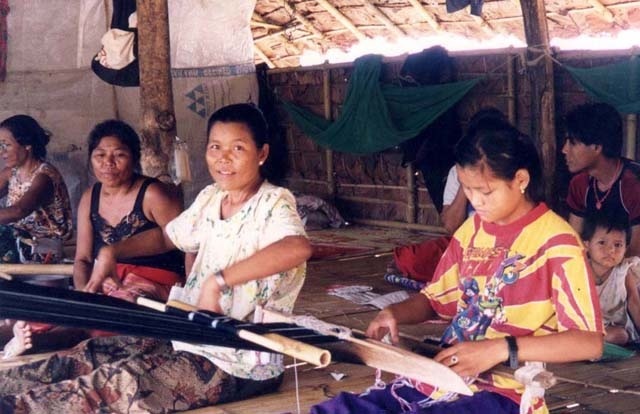 The sale of flip-flop pins will sustain and empower an income generation project for women in a very poor region of Thailand. Increased awareness of the fight for gender equality and the empowerment of women.